Beautiful green white brown pattern of tree branches with white blossoms, suitable for year round table setting. Scalloped plate edges are gold. 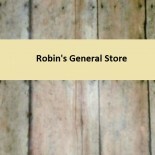 This entry was posted on November 27, 2017 by Robin's General Store in Uncategorized.